The inspiration for the BumFloat came from years of wearing life jackets upside-down (legs through the arm holes) to lounge around in the water. 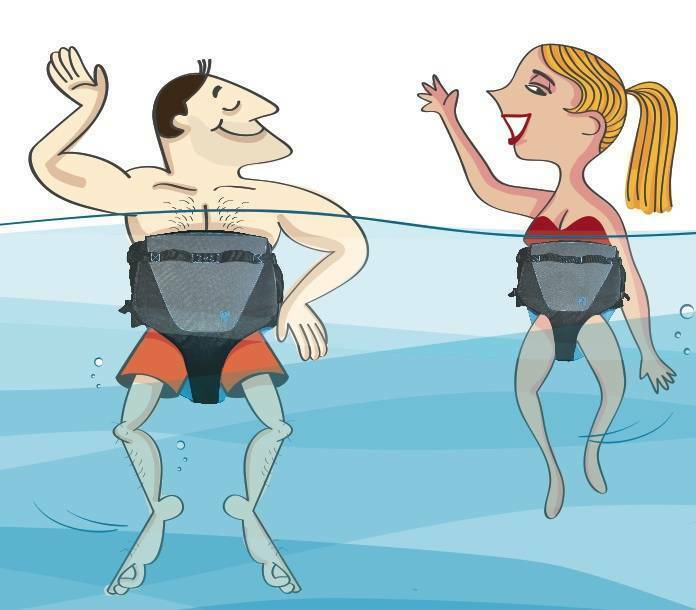 It may sound odd, but doing so gives you perfect buoyancy and free range of motion with your arms and legs, while floating the user in a nearly vertical position in the water. The BumFloat replaces the age-old, upside-down life jacket trick. As most lake dwellers know, an upside-down life jacket makes a pretty cool float. Problem is, life jackets aren't made to be worn upside-down. They're bulky. They don't fit correctly. 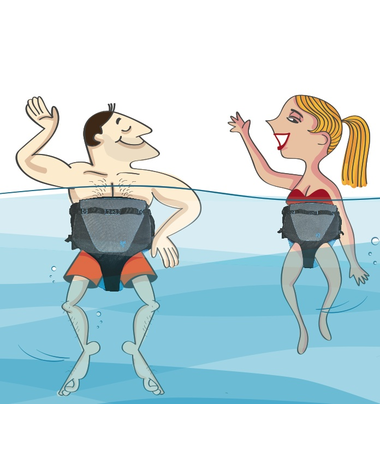 They're difficult to put on, chafe your legs and become too cumbersome, even in the water. 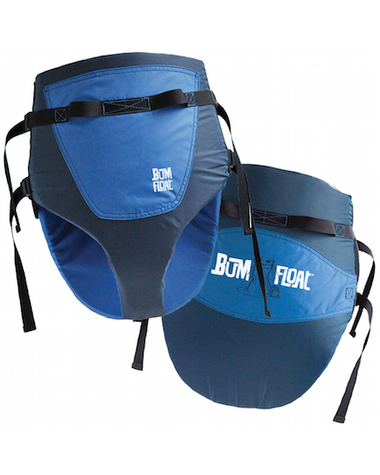 The BumFloat has a comfortable fit, a perfect float, and allows for total range of motion in the water. This is key when reaching for things on the dock, like sunscreen or a cold beverage. The BumFloat is perfect for lakes, calm oceans, pools and just about anywhere else you'll find a water hangout spot. Throw 'em in the boat, stack 'em in the boathouse, sport 'em at the pool, bring 'em on vacation. 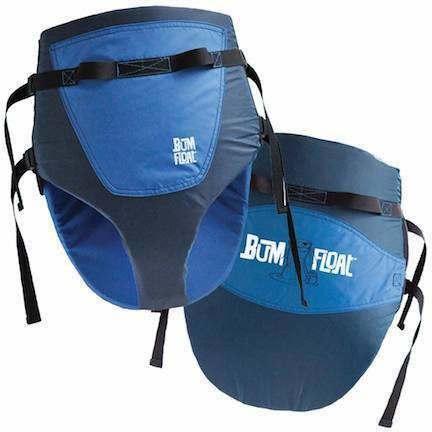 BumFloats come in two sizes - M/L (28"-36" waists) and L/XL (36"-42" waists). While the M size is rated for 28" waists and above, it will absolutely fit our super-skinny fans. 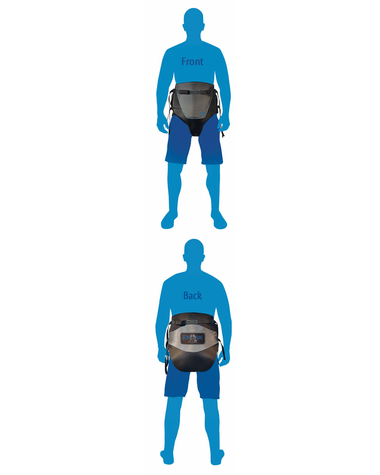 You may not be able to cinch the adjustable straps tight around your skinny little waist, but you will absolutely have a comfortable fit and float. 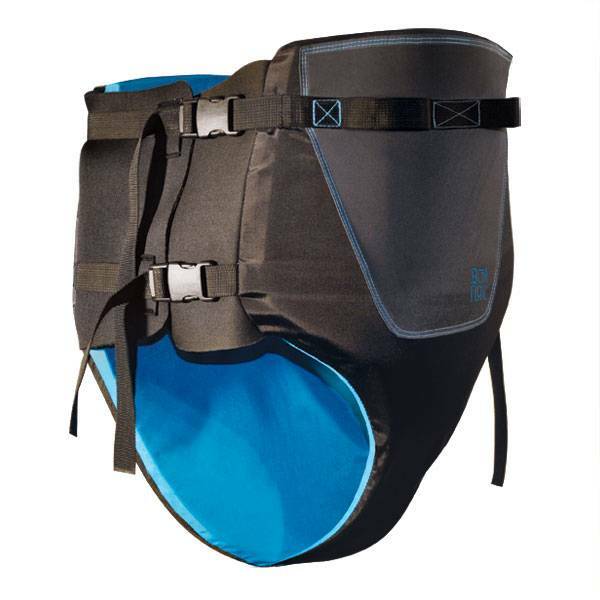 The BumFloat is designed to be comfortable in the water, outfitted with 4 adjustable straps in just the right places to fit just about everyone. 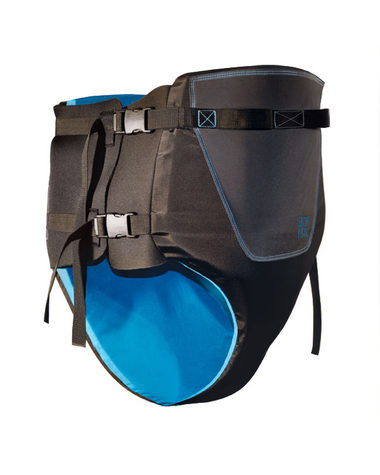 The BumFloat allows you to float in an upright position with your shoulders at the waterline. BumFloats also have built-in loops for tethering. Tether to the dock, to the (anchored) boat, or to a bunch of friends. It's important to note that BumFloats are not certified by the Coast Guard (or any other agency, for that matter). It is not a life jacket or a life-saving device in any form or fashion. So please be careful out there, and use your brain when you use your BumFloat.